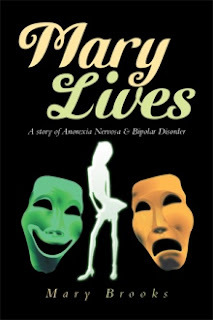 This book is my life’s story and the battles through the decades of Anorexia Nervosa and Bipolar Affective Disorder. I wrote it at the time where I became hopeful that the eating disorder had lost a lot of its influence on me, and when I felt hopeful about the future. Several years ago, when manic, I wrote lots of poetry, which I have included in the book. I also found myself writing to my psychologist or to myself, to try and work things out in my head. What is your greatest strength as an author? The book is honest and forthright, and I this is a great strength. Yes, I learned to put a lot of the past behind me, and open up to the wonderful prospects that the future holds, especially with being a grandmother.